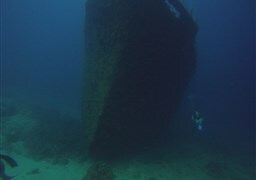 The MV Kudima is a 52meter long cargo ship wreck that sunk in March 1999 and has been lying on a sandy bottom 30 meters deep underwater ever since. 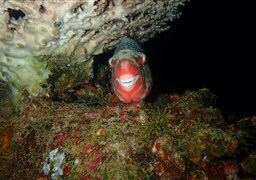 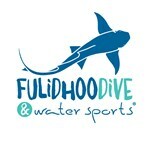 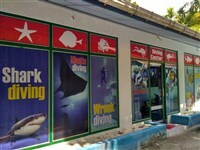 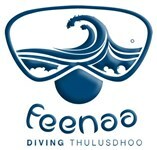 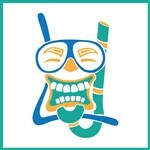 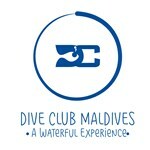 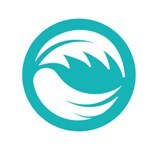 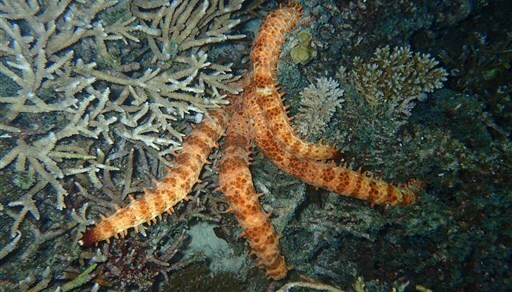 It lies parallel to the North house reef of Machchaafushi Island. 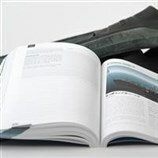 The hull of the ship presents several entrances, at the stern and on both sides, which allow a swim through from the port side to starboard. 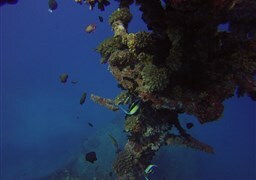 The wreck is colonised by coral and host many underwater species like stingrays, nurse sharks and batfish. 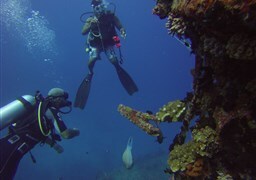 The water entry is usually done at the house reef and divers swim to the wreck located a few meters away from the dive centre pier. 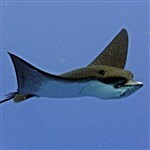 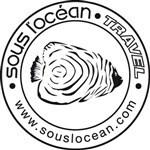 Around the ship, you may encounter stingrays, groupers or moray eels. 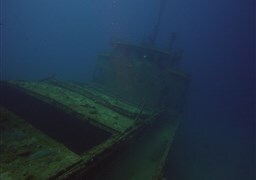 For those who want to visit the hull, it is better to start with the bottom of the wreck and then ascend towards the wheelhouse, the deck and then around the mast. 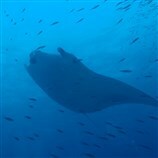 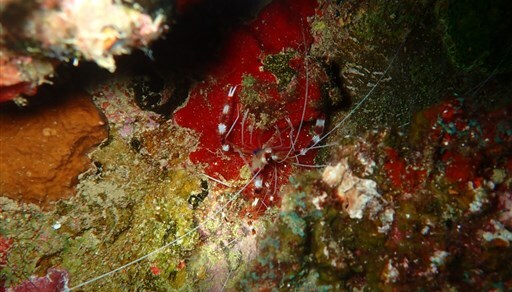 Divers can then either swim to the rear of the house reef for a longer dive, or ascend on top of the ship surrounded by batfishes. 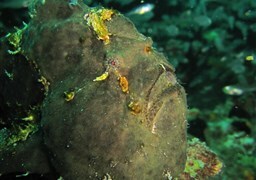 As for many wrecks, it is advised to carefully avoid touching the ship in order to preserve species like stonefish that have taken refuge here. 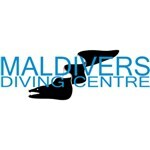 This site is accessible throughout the year and the level of difficulty is intermediate. 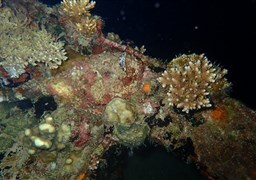 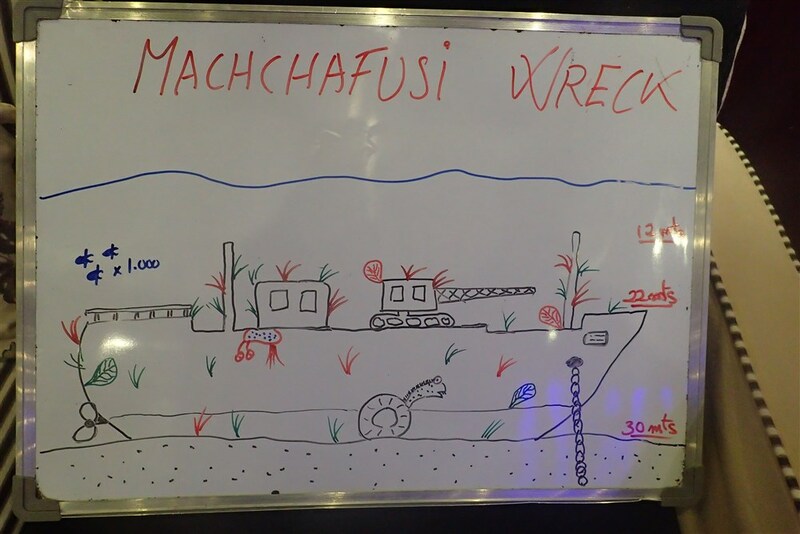 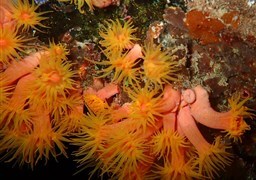 The passage at the stern of the wreck may be a little tricky and will require that divers swim carefully to avoid breaking anything or getting trapped in metal pieces.